Can you confirm these amateur observations of Prosymna visseri? 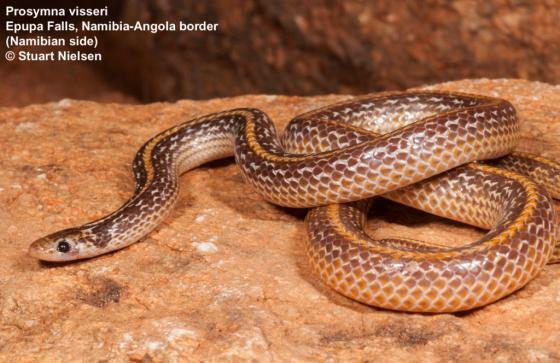 Type locality: near Caracul, S. Angola. but clearly distinguished by the very large prefrontal, whIch is swollen on eIther side and extends downwards to make contact with first upper labial and separate loreal from nasal; snout obtuse, rostral small with horizontal edge rounded; high ventral and subcaudal counts [from FITZSIMONS 1959: 408].